The last of the Christmas gifts! 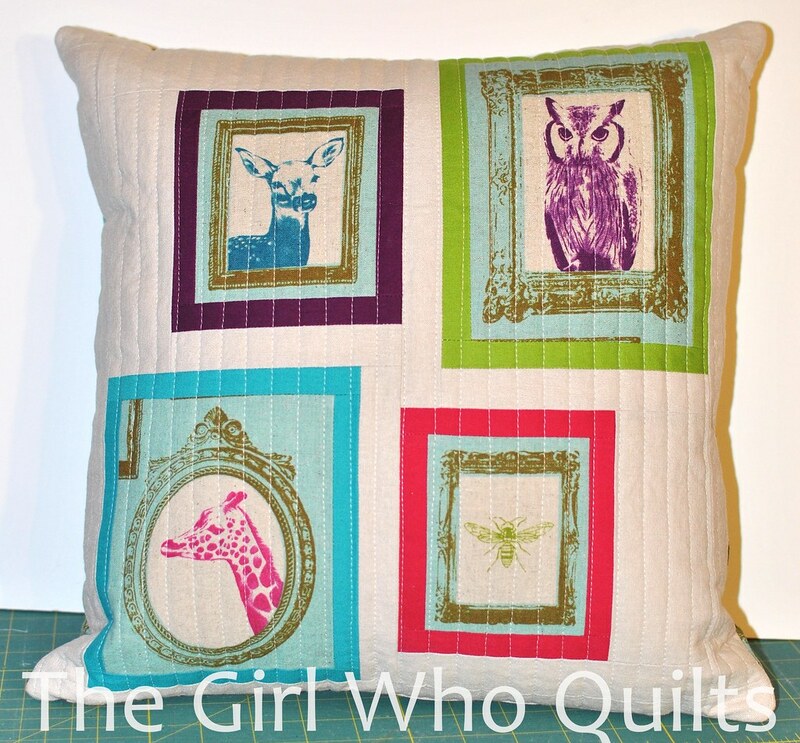 For the front of the pillow, I cut 1 of each of the framed animals and bordered them in a bright solid. 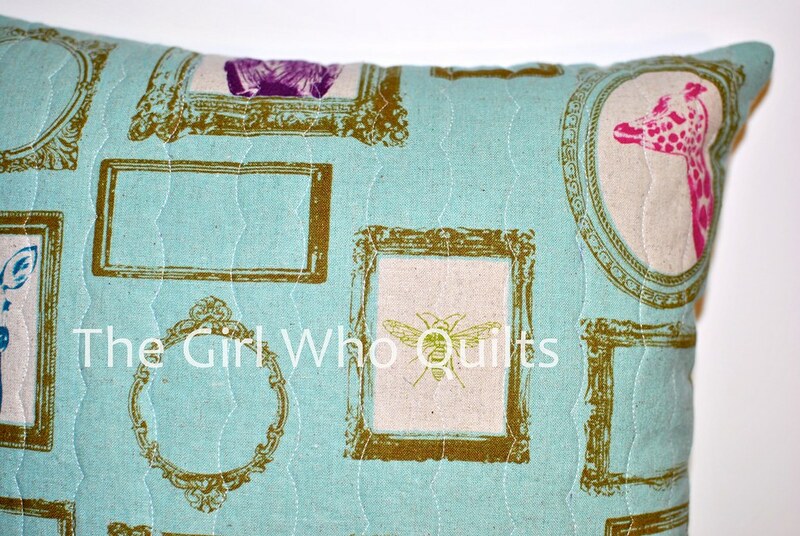 Then I pieced those with some linen and added some straight line quilting! 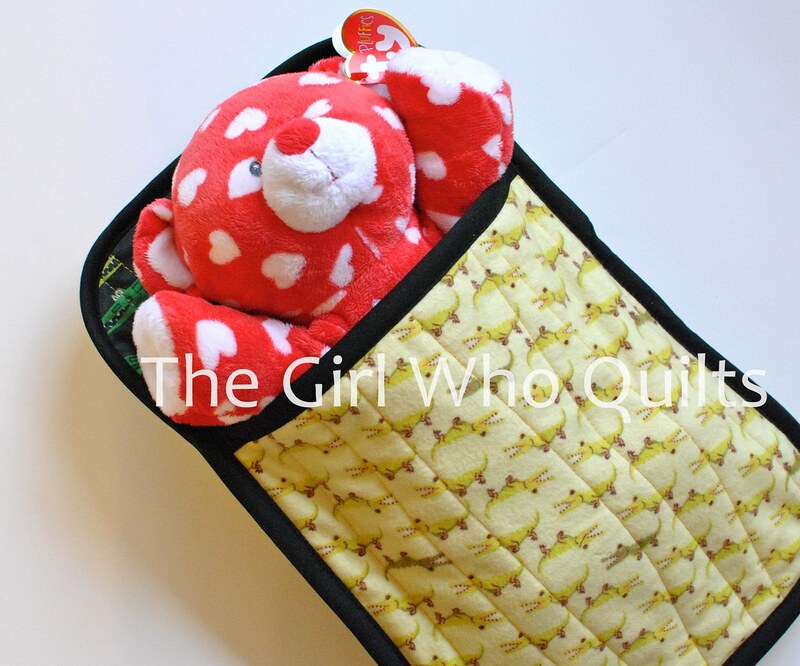 For my friend's two boys I made stuffed animal sleeping bags. 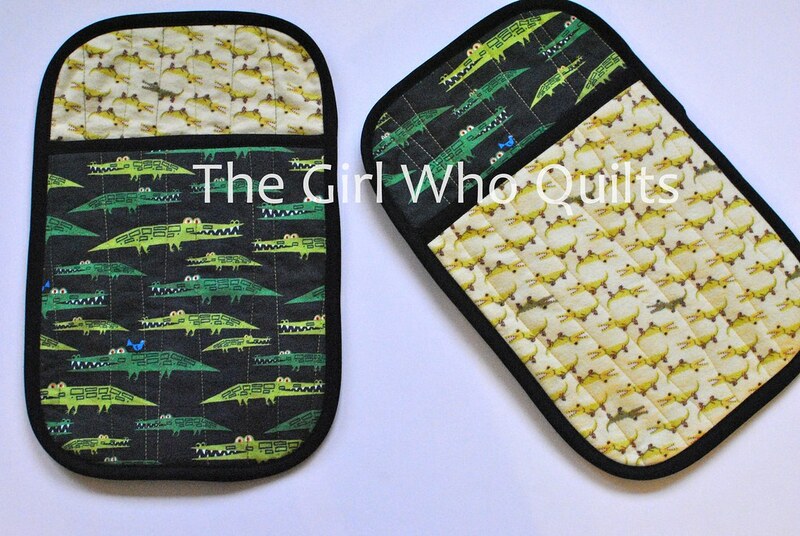 To keep them from looking to childish (her boys prefer rough and tumble to cutesy), I used 2 alligator prints. The light green flannel is from Connecting Threads (who, by the way, has the SOFTEST flannel EVER. I prewash all of my fabric, and this stuff is AMAZING! And cheap!) and the dark green cotton is from Ed Emberley's Happy Drawing line. I didn't use a pattern for these, but they were really easy to whip up! 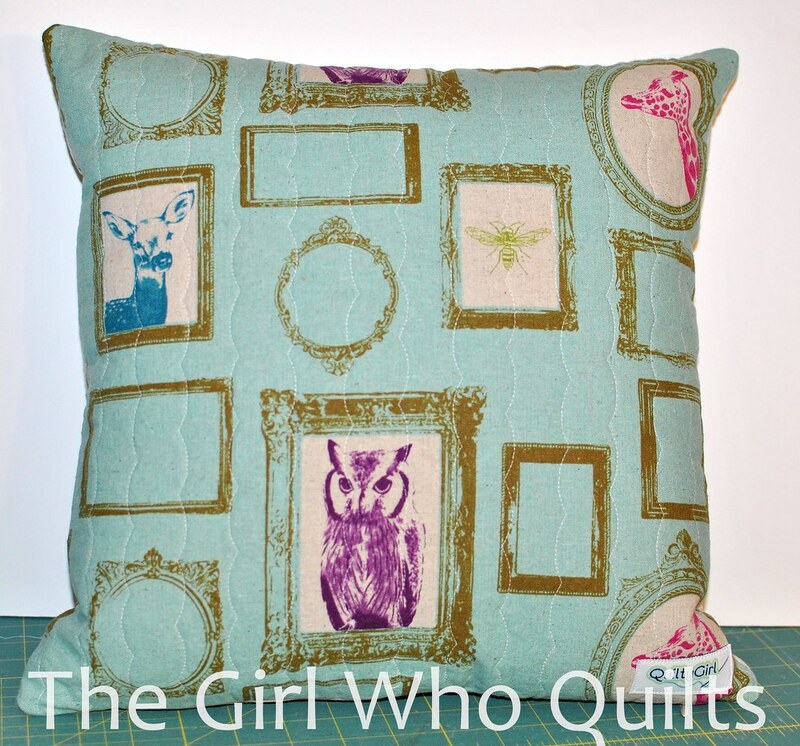 Though I am now tempted to buy this pattern, as it includes a built in pillow! I was really happy with how these turned out, and they have made it onto my list of children's gift ideas. In some way I find these to be "practical". I suppose because they are used with toys that children already have? Either way, they are lots of fun to make and "use"! I'll be back in the next day or two with a little giveaway! And with that, I must go back to picking off all of the paper foundations on my sister's wedding quilt....wish me luck!